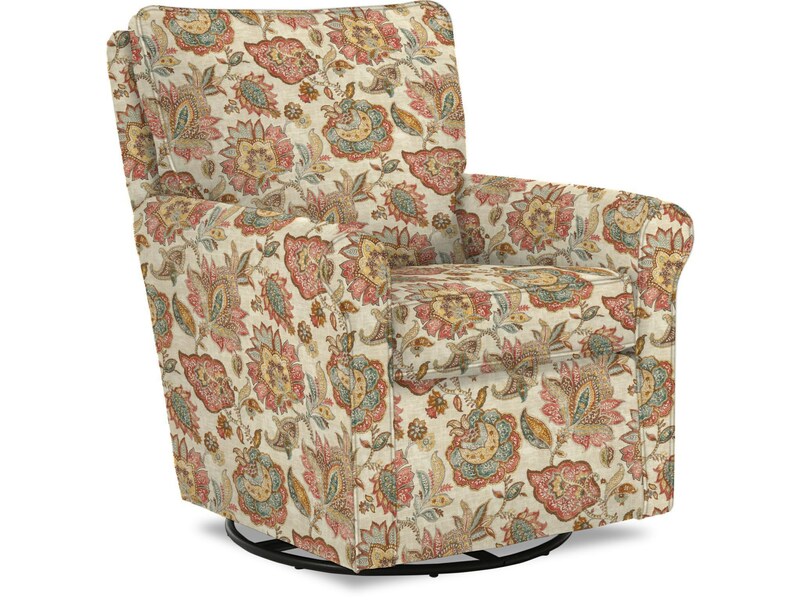 A cozy chair that can easily transform with the stages of your life, this upholstered glider makes the transition from nursery chair to storytime chair to playroom chair. Durable construction will last your family through the years, and our signature plush seat cushion provides that much-needed relief for mom and dad. You'll love your chair that much more when your choose one of our durable performance fabrics that repel moisture, allowing you to wipe clean before stains set into the fabric. The Kacey Casual Swivel Glider Chair by Best Home Furnishings at Miskelly Furniture in the Jackson, Pearl, Madison, Ridgeland, Flowood Mississippi area. Product availability may vary. Contact us for the most current availability on this product.